A mathematical formula shows the joy of giving is the most important part of Christmas, say Stirling academics. 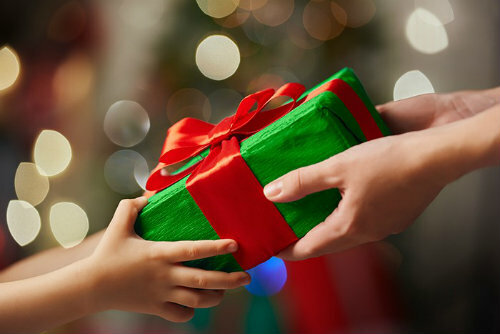 Who to buy presents for and how much to spend is always a complex conundrum but researchers at the University of Stirling have developed a mathematical solution. Game theory provides tools for analysing situations in which parties, called ‘players’, consider the other person’s possible decisions, or strategies, before taking action. Writing in The Conversation, lead researchers Professor Rachel Norman and Dr Anthony O’Hare, from the University’s Modelling and Analysis of Complex systems (MACS) research group, put the method to the test for gift giving. Professor Rachel Norman said: “If both players buy each other a present then they both get a payoff which is the enjoyment they get from receiving a present minus the cost of the present they bought. The Modelling and Analysis of Complex Systems research group brings together colleagues who were previously members of the Applied Formal Methods, Communications and Services and Mathematical Biology groups. The main aim of the group is to develop novel methods of modelling and analysis in order to solve important problems which have impact in the real world. Whilst members work on a wide range of systems, they can be classified into two main applications areas: biological systems and communication systems.